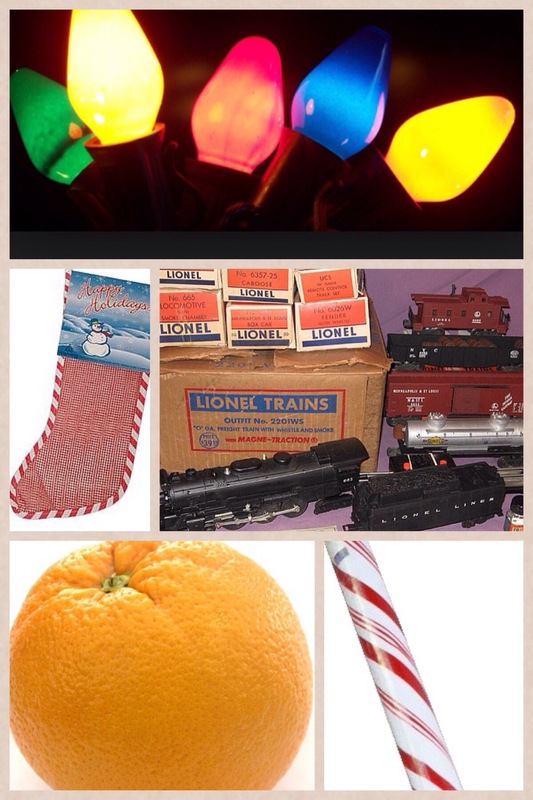 I’m reminiscent of my childhood Christmases. 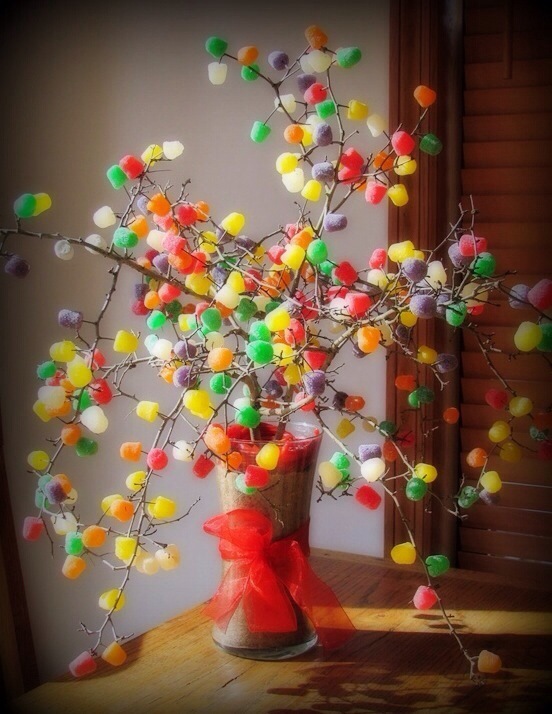 Some years there was a gumdrop tree on the buffet in the dining room, spiced gumdrops like sparkling jewels on the thorny branches cut from the woods, oh so tempting to tiny fingers (the gumdrops, not the thorns). At night we lay in bed, listening to the rustle of stockings being filled, the red mesh kind with candy cane striping around the edge. And in the morning, a giant Big Jim candy cane would be tucked in each one, big enough to last for days. Some years the porch was rimmed with chunky colorful Christmas bulbs, and some years the train set ran around the base of the tree. After church the deacons would stand at the front doors of the sanctuary, which opened out into blinding white snow, and hand us each an orange (a special treat in those days) and a candy cane as we headed home. It doesn’t take much to enchant a child. Merry Christmas, everyone!